A righteous dose of hops and hibiscus give this IPA a powerful aroma of citrus and tropical fruit. Citra, Centennial, and Cascade hops team up to provide a strong, yet smooth bitterness. Intense flavor without a harsh aftertaste. 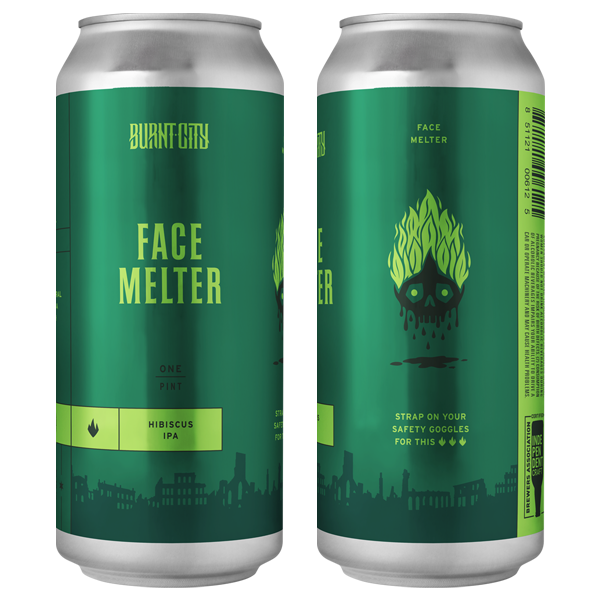 Face Melter Hibiscus IPA is a perfectly balanced IPA sure to impress all your crafty beer friends. Steer the conversation to how the hibiscus is steeped directly in the kettle and watch the hipsters drool with envy.